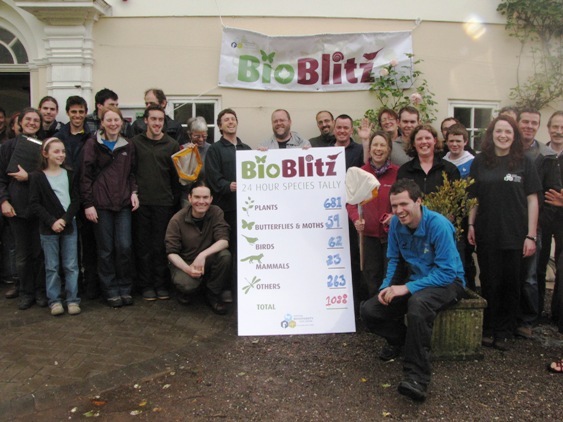 Killarney NP won the 2011 BioBlitz event which was held on 20-21 May. BioBlitz is a scientific race against time. The aim of this fun event is to find as many species as possible within a park over a 24 hour period. Killarney National Park won this year’s competition with a massive 1088 species tally over the 24hr period. This included 681 plant species, 59 Butterfly and Moth species and 62 species of bird. The tally for Killarney is double the number of species recorded by last year’s winner, Connemara National Park. It's an amazing average of 1.3 species for every minute of the competition. All of this year’s sites exceeded last year’s winning tally, so the standard of recording in all five sites was remarkably high. The contestants comprised five national parks and nature reserves from around the country including Killarney National Park (1088 species), The Raven, Co. Wexford (826). Ballycroy National Park (702), Dromore Nature Reserve (688) and Liffey Valley Park (687). As the organisers note: "The real surprise is the huge tally recorded at Liffey Valley Pary, Waterstown as it is by far the smallest park and has limited habitat diversity".